BJELOVAR U MEMOARIMA VELIKOG ŽUPANA BJELOVARSKE/BJELOVARSKO-KRIŽEVAČKE ŽUPANIJE BUDISLAVA pl. 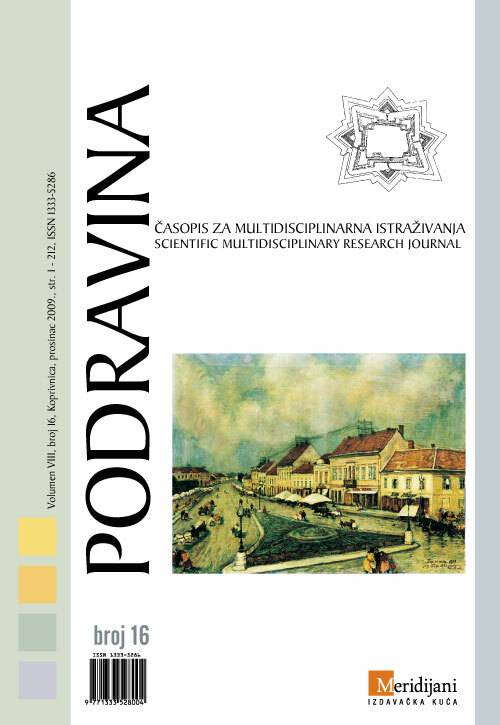 BUDISAVLJEVIĆA - PRIJEDORSKOG "POMENCI IZ MOGA ŽIVOTA"
Based on a one-and-a-half decade archival research mainly in Budapest and Vienna, the study gives a survey of the role of members of the Batthyány family in the border defence against the Ottomans in the 16th and 17th centuries; focusing on their military functions, the family’s rise, and its place in the Hungarian aristocracy. During its history the family played important part in Slavonian, Hungarian and Austrian territories, therefore the new results might enrich Hungarian as well as Croatian and Austrian historiography. The Batthyány family rose in the 15th century in Slavonia between the Drava and Sava Rivers, mainly in Kőrös County. Boldizsár I Batthyány (1452-1520), serving at the royal court at Buda, acquired not only castles and estates here, but at the height of his life he was deputy ban of Slavonia (vicebanus Sclavoniae) for almost a decade (1509-1517). Thus in addition to his judicial and administrative duties at the side of the frequently absent bans he came to play an ever more important part in the defence against the Ottomans, being one of the organisers and everyday managers of the border defence of the Slavonian hinterland. His son, Ferenc I (1479-1566) continued the conscious land and matrimonial policy in Slavonia. He rose from the group of lesser nobility to the lords and aristocrats leading the country; he even had the third high office of the Kingdom of Hungary and Croatia, Ban of Croatia and Slavonia (banus Croatiae et Sclavoniae), and as such he was one of the leaders of the country’s defence against the Ottomans. Due to the increasing Ottoman threat he shifted the family’s centre from the vicinity of the Slavonian-Ottoman frontier to the Hungarian-Austrian border, and acquired major estates there, in Vas County (Németújvár/Güssing, Rohonc/Rechnitz, Szalónak/Schlaining). Thus not only did the Batthyánys rise from a lesser noble family to a major Hungarian magnate family, their lands also shifted to the more protected hinterland in the Kingdom of Hungary by the mid-16th century. As a result, heads of the family (Ferenc I and Boldizsár III, 1537-1590) did not have to fulfil higher military functions by the early-17th century to play an important part with their advice and private armies in the putting up of a new defence system against the Ottomans in Hungary. The Ottoman occupation of Kanizsa (1600), however, put them into a completely new situation to which Ferenc II (1573-1625) and then his descendants adapted gradually. As captain general at Körmend (Oberhauptmann zu Kermend) in 1601-1602, then as district captain general of the Transdanubia (Kreisgeneral in Transdanubien, 1604-1609) Ferenc grew to play an ever more active part in the defence of the Kingdom of Hungary, Styria, Lower Austria, and his own estates in Vas County. His son, Ádám I (1610-1659) was leader of defence at the border fortresses across from Kanizsa and also at the counties of West-Transdanubia from 1633 until his death, that is captain general of the border fortresses facing Kanizsa and of the Transdanubian district (Grenzoberst der gegenüber von Kanischa liegenden Grenzfestungen und Kreisgeneral in Transdanubien). In addition, in 1655 he managed to have this position hereditary, securing it to his son Kristóf III (1637-1687), and then to his grandson Ádám II (1662-1703). This was a unique phenomenon in the several hundred kilometre long Croatian-Hungarian border defence from the Adriatic to the border of Transylvania. From 1633 to the early-18th century members of the Batthyány family were at the same time representatives of the military interests of the Habsburg Monarchy and the Kingdom of Hungary, the foreign sovereign and the Hungarian estates. A unique and long-lasting compromise was born this way between the Batthyánys, a truly influential family in Transdanubia, and the Aulic War Council (Wiener Hofkriegsrat) overseeing the defence system in Hungary, in order to secure the defence of the imperial city Vienna and its south-eastern Hungarian-Austrian border region against the Ottomans.